Please, take all my money! I spent a lot of money on this game and I still love playing it. There’s something about the fast paced action and music combined with recognizable patterns which makes this game so addicting. You develop strategies to combat each wave of enemy planes until you get it right and you move on to the next and repeat the learning process. Only on my RetroPie with free “money” I made it all the way to the end. 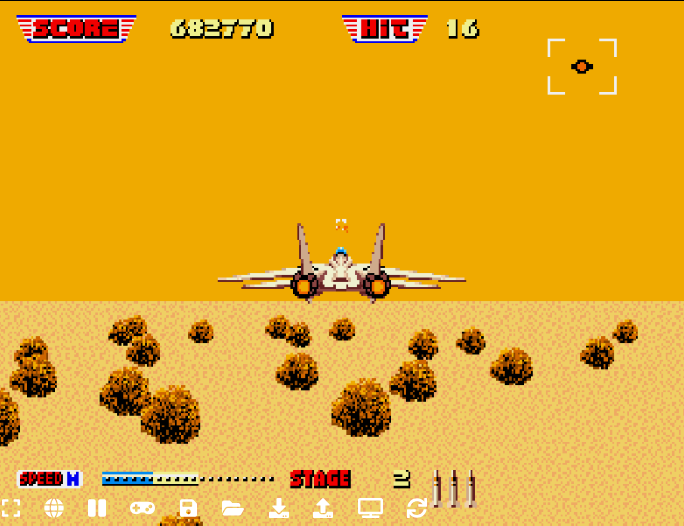 Sega made an updated version of After Burner II and released as part of their Sega Ages collection for the Nintendo 3DS and I’m crossing my fingers they’ll release for the Switch as well. Of course, you can play it online. 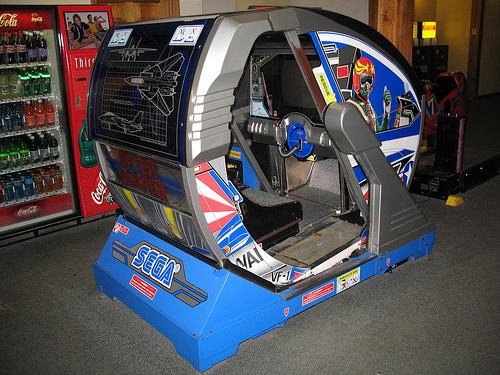 My favorite arcade version unfortunately doesn’t work properly – the left-right control are not working so I’m sharing the Sega Genesis version which close.